We are a well-known name engaged in the manufacturing, exporting and supplying of Braille Learning Frame. Our Braille Learning frame is designed using the advanced technologies. Our customers appreciate our Braille Learning frame for easy manual operation and portability. 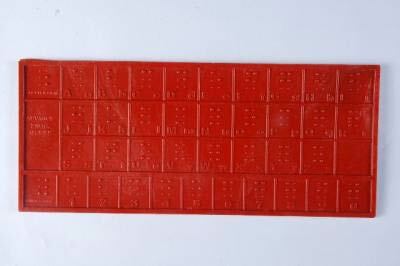 We provide the Braille Learning frame in appropriate packaging depending upon the ordered quantities.